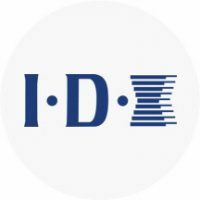 IDX is the premier manufacturer of Lithium Ion battery power systems, HD wireless transmission solutions, V-Mount technology and more to the broadcast, professional video, audio and portable electronics industry. their mission is to develop power products that professionals can use with confidence and convenience. Offering the highest quality of product, innovation and service allows our customers to operate their equipment as expected and concentrate on creating and capturing. As pioneers in the use of Lithium Ion, IDX was the first to produce Lithium Ion NP batteries to meet the needs of camera users who demanded more power and less battery weight. IDX built on that award-winning Lithium Ion NP success by introducing the ENDURA System, with revolutionary features such as PowerLink—the exclusive ability to stack a second battery and double the power.